Replacing missing teeth is essential to maintaining oral health. 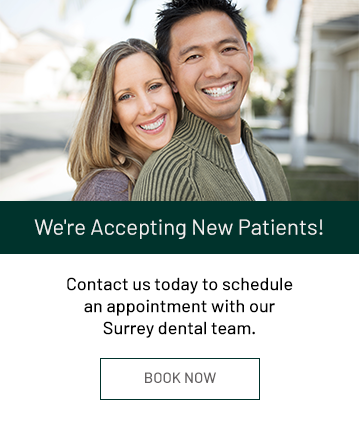 Guildford Smiles Dentistry offers a variety of tooth replacement options to fit your needs and budget. A missing tooth can make day-to-day life difficult, and can seriously compromise your oral health. Guildford Smiles Dentistry offers a variety of replacement options for your missing teeth. Implants are small titanium rods that are implanted into the jaw, acting as artificial tooth roots. A crown completes your chewing surface and smile. Bridges use adjacent teeth to suspend an artificial tooth, filling the gap. We can also combine implants with your bridge to replace multiple teeth. Dentures are removable dental appliances that can replace one, a few, or a full jaw of missing teeth. They can be combined with dental implants for a more secure fit.